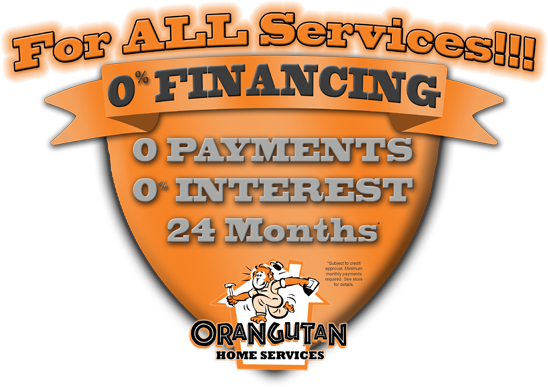 We never charge for an estimate for any of our home services. Book your appointment for plumbing, insulation and furnace repair and air conditioning service in Phoenix now. Being named the best in America doesn’t come without a load of grit, tons of hard work and a steely determination to serve the Tucson area with the very best in customer service. 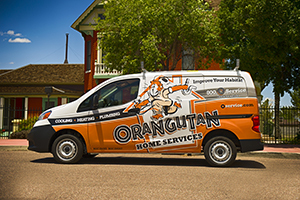 Named #1 Air Conditioning and Heating Contractors in the United States for three straight years, our team at Orangutan Home Services are proud of the designation. Not just because we’ve always believed we are the best in the Phoenix area, but because it’s proof that our valued clients believe that about us as well. Our commitment to excellence in everything we do, our expert team of technicians and stellar customer care staff are backed by state-of-the-art equipment and the most innovative techniques in the AC repair business. We are dedicated to air conditioning and heating installation and repair that is thorough, prompt and affordable. Tucson residents deserve only that. Though, as an AC repair and home services company, we face the specific challenges presented by Tucson’s weather. We believe that sticking to what we know, and doing our job with a smile on our face, is how we’ve become Tucson’s Top-Rated Local® AC services experts. For comprehensive home services, from air conditioning and heating equipment installation to plumbing and insulation, call the experts at O-Services to schedule your in-home appointment now.